It may seem obvious why people should buy caravans through reputable caravan traders, yet so many people buy static caravans in the UK and end up with problems. If you’ve made the decision to buy a holiday home, there will be a million questions you would like answered. North Wales Caravans would like to help you make a confident, hassle free choice, so we’ve put together a few of the basics to help with your purchase. Buying a static caravan is an enormous financial step to take, that needs lots of thought, research and a reasonable amount of time and money investment. If you have no experience of mobile homes, there may be many questions you need answered, such as “which site”, “which caravan model” or maybe even “which manufacturer?”. Throughout the UK, there are thousands of caravan suppliers, dealers and traders that are all in the business of attempting to sell you a holiday home. Here are some of our hints and tips that may help to point you in the right direction. In these days of modern technology, it’s not always necessary to commence your search in person. You can browse the web and discover lots of information about make, models, size, sites etc. without leaving the comfort of your home. When you are going to invest a significant amount of money into a caravan, you need to make sure it’s the right one for you. Clearly, personal preference will play a huge part in your choice, but also consider its availability. Is there a waiting list for this particular model from the manufacturer? Decisions need to be made about the style – modern, contemporary, or a more traditional layout? The North Wales Caravans website has a multitude of information to help with your preferred site location on one of several holiday parks in the North Wales region. Once you have a basic understanding of your requirements, the next step is to visit static caravan suppliers to view the caravans, get a feel for their facilities and sit on the sofas and see how comfy the cushions actually are! North Wales Caravans, as leading, reputable caravan traders in Wales, have a huge range of both Used and New static caravans for sale. Our caravans are from well-liked, prevalent manufacturers such as Willerby, Cosalt, Brentmere, BK, Atlas, Abi and Europa. 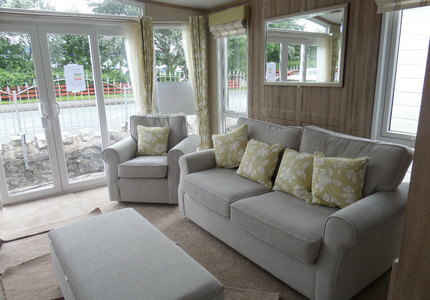 We have many brand new caravans on display for you to view and choose from. In the event that you have decided on a different manufacturer or model, please speak to our Sales Team who will do everything they can to meet your needs. North Wales Caravans, as major caravan suppliers, are justifiably proud of our customer-focused service. We help our customers to find their ideal holiday home, in the simplest and straightforward way. Our mission statement is designed to aid our customers; to advise you so you find the right static caravan, to make sure you discover your desirable caravan park and to ensure that you get moved in quickly, sometimes within a week! If you are looking for a reputable caravan dealer and want to buy either a New or a Used Static Caravan in North Wales, you have come to the right place. We are ready to help, and are only a phone call away.